After Wilhelm Wagenfeld finished his journeyman years at the Bauhaus workshop, he designed a wide range of table and floor lamps in 1930 at the Bauhochschule in Weimar, Germany. Including the WST L 30. 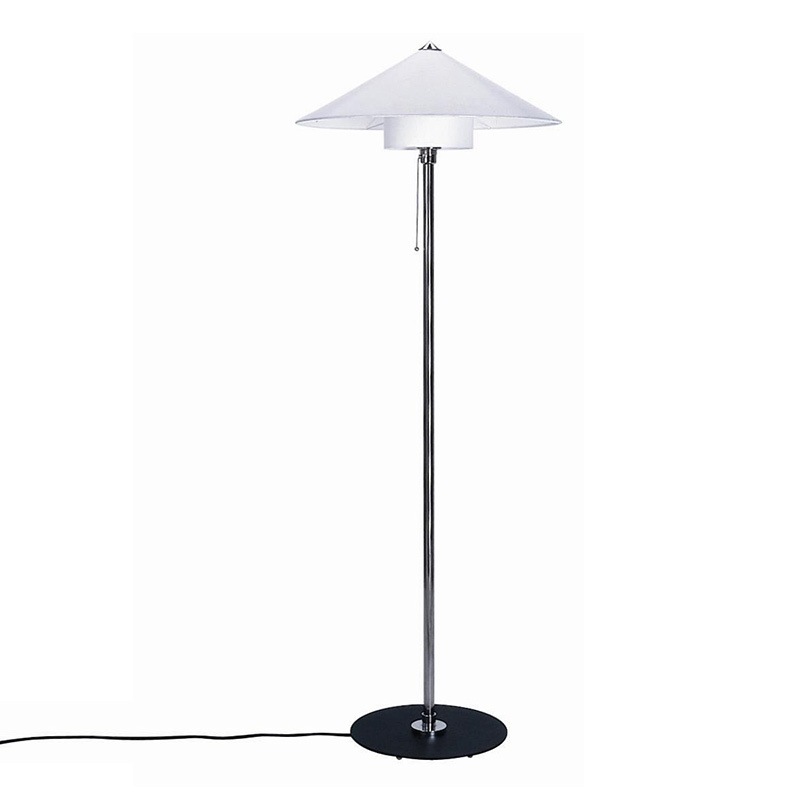 This floor lamp with an height of 157 cm or 61.8 inches shows great similarity to earlier Wagenfeld lamps and can be understood as a further development of some of Wilhelm Wagenfelds concepts. Finally in the late 70's, german manufacturer Tecnolumens attention was drawn to Wagenfeld and his unique lamp design. Tecnolumen managed to work out a contract to rebuild his copyrighted works, without changing their essential characteristics. As a result we now face a lamp with up-to-date technics and a classic design.